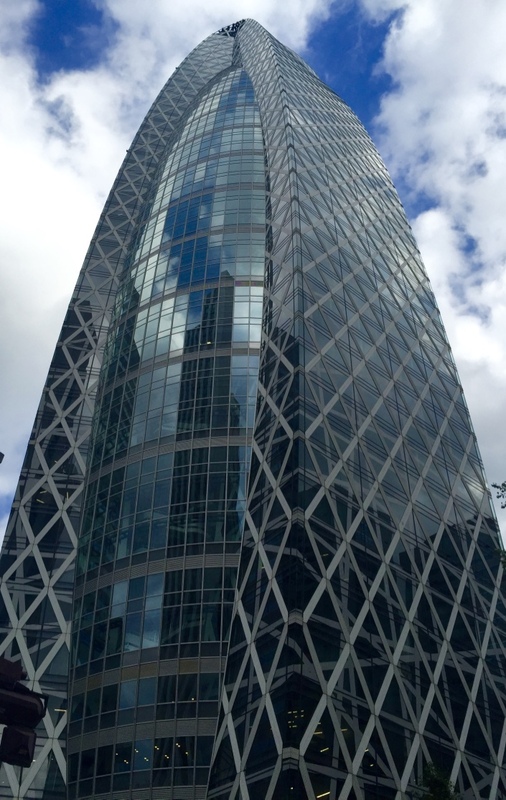 Tokyo, Japan: The hardest part of visiting Japan is deciding what to do. At the top of your list might be a visit to the famous Tsukiji fish market, where much of the world's fish visit before making their way to your local fishmonger. So if you are a seafood lover, when in Tokyo, as well as all over Japan, you will enjoy the freshest seafood possible. With so much to do in Tokyo this guide can help sort it out along with what time of year you might want to go, for example in the spring to view the cherry blossoms. After a few days in Tokyo, your trip would not be complete without a visit to Kyoto. It's easy, just hop on the Shinkansen which will zoom by Mt. Fuji at 180MPH and in a couple hours you will arrive in Kyoto. (The Japan Rail Pass is a fabulous way to see the country.) There plenty of temples, sights and of course incredible food awaits you. And if you are a green tea lover don't miss the chance to visit Ipoodo, a purveyor of world class teas. how can Reward Flying get me to Tokyo for a pocketful of air? In order to answer that question we need to look at some sample airfares. Many variables affect air fares and what is shown today probably will be different tomorrow. With that understanding this is an example of a round trip fare from New York to Tokyo in the summer of 2016 using Google flight search. Here are four reward tickets from different programs and carriers. #1: Flying an Air Canada jet round trip from NYC to Tokyo requires 75,000 points in economy and 150,000 points in business class plus taxes and fees of $50.46. #3: Flying American Airlines from NYC to Tokyo only had business class available on this search and the cost was 100,000 points round trip plus $74.66 in taxes and fees. #4: Finally lets fly Korean Air and Delta to Tokyo and back. Traveling economy costs 90,000 points plus $95.36 or 160,000 points in business with the same fees. Complicated, or maybe just confusing. And this is only four programs, with each having many other flight and fare options that are not shown. Other programs are available as well, in fact many others including the best option. But let's just compare these four examples. On average a reward point has an intrinsic value, or cost to acquire, of around .015 cents. Consider the countess TV commercials offering you cash back on your credit card purchases. Those range from 1% to 2% and in some cases a little more, but you should be able to get one for 1.5% back. Reward programs work similarly and a safe assumption is a point will be worth around .015 in real terms. Many programs allow you to buy miles as well, with the best deals around 2 cents, which indicates a 1.5 cent valuation is about right. Let's say you have 75,000 points in the Reward program of example #1 and want to ticket that reward. Your 75,000 points have a value of $1,125 at .015 per point. Add in the $50 fees and the ticket costs you $1,175. So you would save a little from the lowest economy ticket to Tokyo for $1,313. If you took the non-stop at $1,637, that's $500 dollars more than the reward ticket cost. You can redeem the points, but the question is, did you get the best value for your points? The Reward Flying answer is, let's find something better. Even if you earned the points flying, and argue that they are "free" (which they aren't) the return value simply isn't great. Don't let the illusion of a "free" ticket cloud the true value of your points, because points are equivalent to real cash! Spend them wisely. Reward example #2 costs 55,000 points, so at face value that would be a better deal. But what if the cost to get the point isn't .015, what if it's say .025. If so the reward ticket is costing you $1,375 plus $84. The Reward Flying strategies will show you how to value your points. Premium seating is where you get the value with reward tickets. Economy tickets often price out to around the intrinsic value of the point, but they are easier to get. For value, et's focus on premium travel. In this case the lowest business class reward ticket at $4,113.00. The program requiring the most reward points is 160,000. Divide the fare by the points and you have a .026 valuation. That's best fare divided by worst redemption, still a better value than economy! Reward example #2 requires 85,000 points and the actual fare for this flight is $7,440. That makes a point worth .0875. Can you get 8% cash back from a credit card purchase? Doubtful. Reward Flying is all about getting value for your points. If you have points we can make sure you get value. If you don't have points we can show you how to get them and then spend them wisely. Or if you just want to travel now, we can show you how to get a premium class fare for a 50% or more discount from advertised price. For example, using the $7,440 fare from above, you can get that fare for about $2,400, even less sometimes when on sale (yes they have sales). Another one of the examples above could be purchased for about $2,500. Or maybe you have some points but not enough, we can show you how to combine cash and points. Regardless of the combination you aren't going to spend anywhere close to $4,113 or $7,440 for a round trip business class ticket. Australia: A commonality in Australian photos is water. Sydney, Cairns, Melbourne, Brisbane and Perth are some of the major destinations when traveling "down under" and all are costal cities. Australia is a vast country, almost 2,400 miles wide or roughly 300 miles less than the United States. Mostly barren inside, the fun is on the coasts. Travel is typically by air between coastal cities and carriers run what we might refer to as shuttles. Flights from the North America typically are to Sydney and Melbourne, but cities like Brisbane and Adelaide are becoming more frequent. Sydney is probably the most visited, famed by the Sydney Opera House, this modern city might remind you of San Francisco only with better weather. But other cities have incredible attractions as well. In Melbourne you can take a drive down the Great Ocean Road to the Twelve Apostles or visit Phillips Island and watch the penguins parade onshore every night. Maybe head north up to Brisbane. Their main attraction? Sunshine an average of 300 days per year! 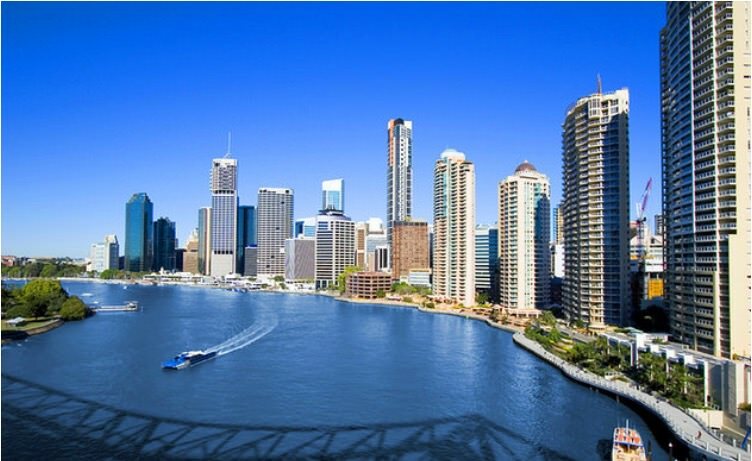 Continue north to Cairns and swim with the fish in the Great Barrier Reef or visit the Daintree, the world's oldest rainforest. There is plenty to do in Australia. Here is a guide with some more ideas. Some might say that's all great but I've never been able to find reward space in premium class to Australia. And at face value they might be right. Here is a search of two major reward programs from the US to Sydney 6 months out. Only a single day available in business class. That didn't stop Reward Flying from finding a way to get there! Sometimes creativity is what is needed to get the reward ticket you want. That's the benefit Reward Flying delievers to you. Seoul, South Korea: If your interests happen to be in South Korea's historical architecture, then the Gyeongbokgung Palace, also known as the Northern Palace, built in 1395 might be the place to start your visit to Seoul. 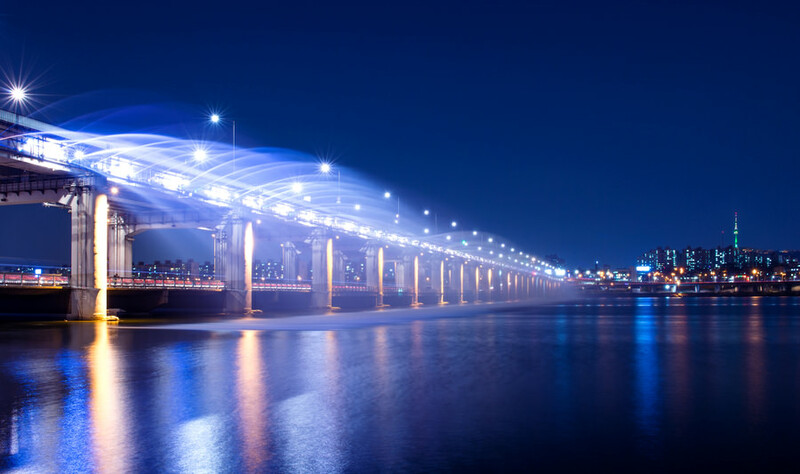 The Banpo Moonlight Rainbow Fountain is the world's longest bridge-fountain and operates a spectacular 15 minute light show every night from April to October. Not to be outdone by their Asian counterparts, South Koreans have some unique culinary specialties of their own, namely their famous galbi (Korean BBQ) or their signature dish bibimpab, which means mixed rice. Beijing, China: Tour the Forbidden City and the Great Wall of China. In 2007 one hundred million voters made the Great Wall of China one of the Seven New Wonders of the World. Having taken over 2,000 years to construct, this 13,170 mile structure is easily the world's longest military defense system. At one point in the Qin Dynasty (221-207 BC), one million men were, or about 5% of the world's population, were recruited to build this wall. Prepare for your trip to see the wall here. Next, The Forbidden City or Palace Museum is just north of Tianamen Square in Beijing. Listed by UNESCO as a World Cultural Heritage Site, the palace is one of the most popular tourist attractions in the world. Reward Flying has multiple ways for you to fly to Beijing to see these sites. Honolulu, Hawaii: If surfing is your passion then Waikiki beach is your destination. There are so many things to do on the southern end of Oahu, visit the former volcano Diamond Head, catch a bit of history at the Pearl Harbor memorial and definitely go for some local Hawaiian food. Try lauau; pork, fish or chicken wrapped in a taro leaves and steamed. Or indulge in local Hawaiian fish dishes like poke (Hawaiian version of ceviche) and taro paste, a local staple. Your trip to Honolulu will not be complete until you visit Hanauma Bay and snorkel in this world famous marine sanctuary. 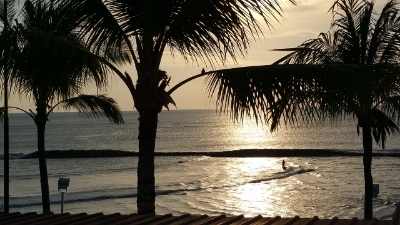 Airline alliances make visiting all the Hawaiian Islands possible if that is your goal. Maui, Kona, Lihue, you can see them all. Or make a trip of a lifetime. Fly to Hawaii for a few days (or weeks!) then jet off to Asia. Reward Flying can show you how to to this for a cost similar to a round trip just to Asia. It all comes down to your strategy. Shanghai, China: For around a dollar or two enjoy some famous Shanghai noodle soup. 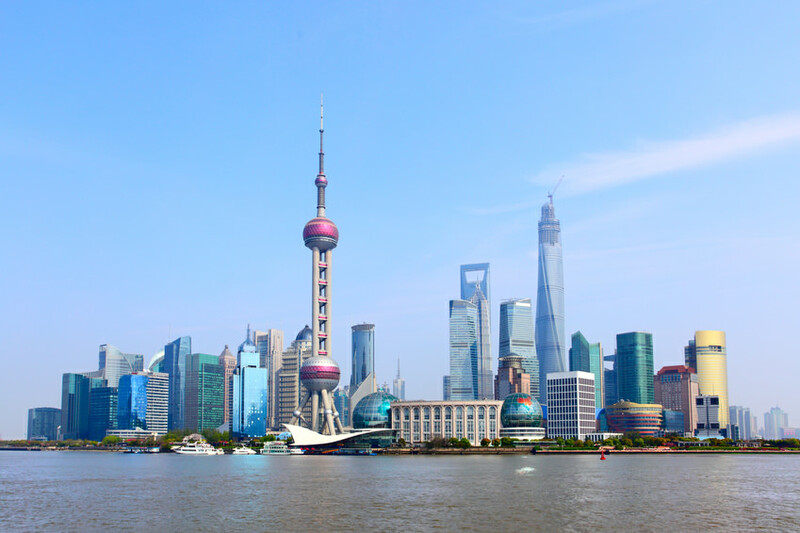 Located on China's central coast, the modern Shanghai is the countries largest city as well as financial hub. A multi-cultural city with over 9 million immigrants among the 23 million people living in Shanghai suggests there is something for everyone. Reward Flying availability is very common to Shanghai. A must destination is to view the incredible skyline from one of the six observation decks at the Oriental Pearl Tower. Getting around Shanghai is easy with lots of options. Here is a transport guide. Singapore: You could just stay in Changi Airport it’s so incredible. With a swimming pool, movie theater, food courts, transit hotels and spas! But so is the city and maybe this is the eating capital of the world. Famous for chili crab it's a must try. 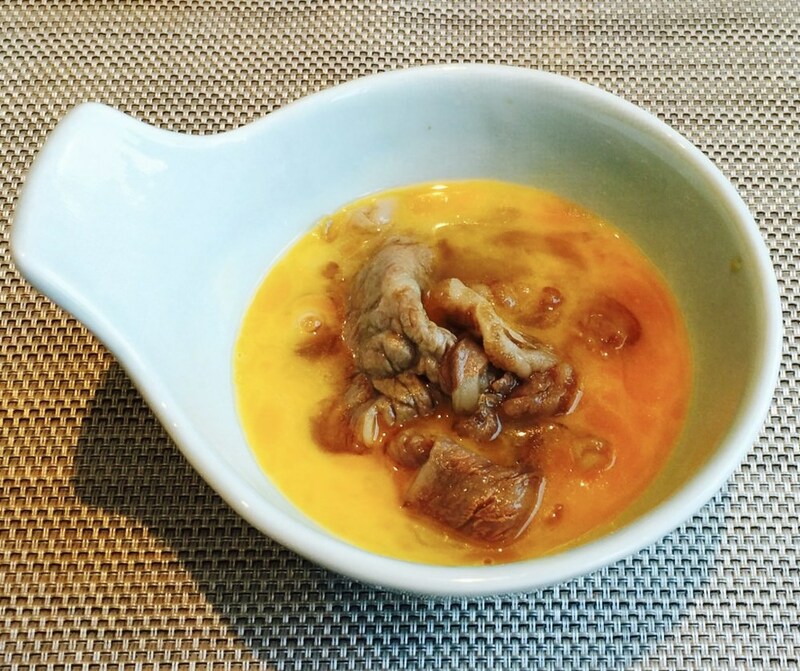 The Singapore Food Festival is typically held in the mid to late summer months, July and August were local chefs display their inspirations. It doesn't matter when you visit, throughout the year something special is happening in Singapore, and the weather is always the same. This guide might help you make some important decisions. Taipei, Taiwan: Great transportation systems take you anywhere for a couple dollars. Taiwanese are very friendly people and they love to eat as evidenced by the many night markets and outdoor vendors on virtually every street. 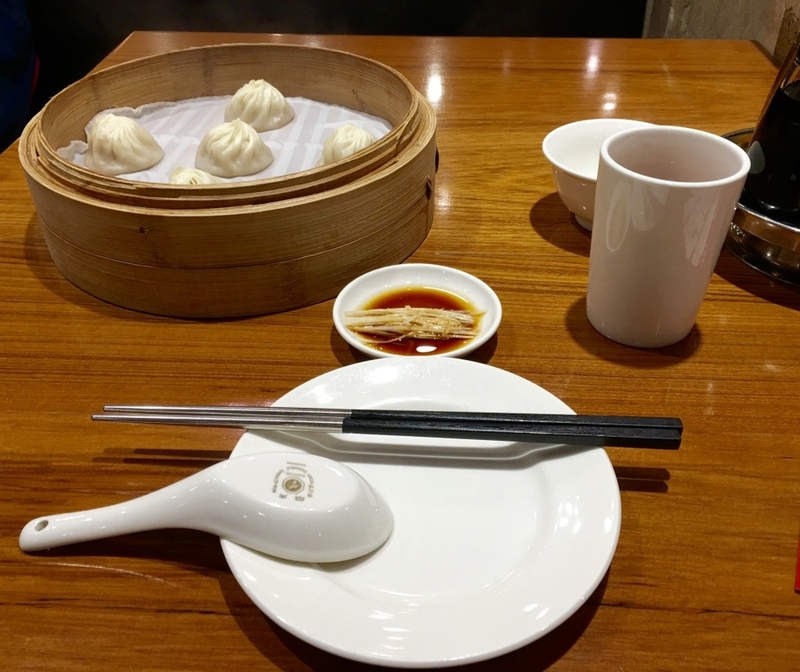 Din Tai Fung dumplings is must with 10 locations (one happens to be in the Taipei 101 Tower which also is a must visit). Just be prepared to wait an hour, it’s worth it. 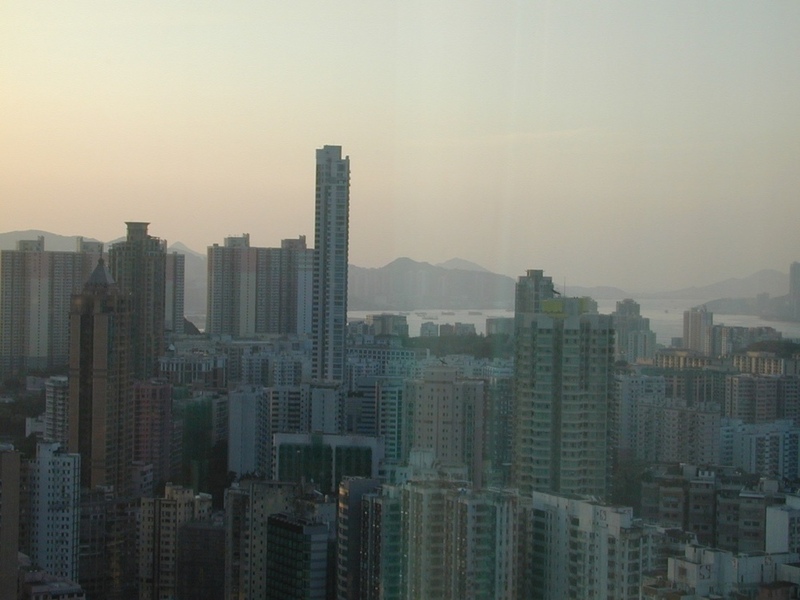 Put your name in and take the 37 second ride up 89 floors for a magnificent view of Taipei. Later take a short train ride out to Keelung, for the most famous of all night markets. What is most interesting are the open markets where you can get virtually anything. And you will wish your town had their food markets. New Zealand: The sometimes passed over smaller country in Oceania, New Zealand offers a more relaxed experience in this part of the world. Indigenous to the Mãori culture, one of the three larger Polynesian traditions, a trip to New Zealand could be simply to learn about this unique heritage. (You could even combine a visit to Easter Island and or Hawaii for a complete Polynesian experience!) Or you can go the urban route with the modern cities such as Auckland. After taking a tour of the iconic Sky Tower and dining at one of the many local restaurants in Auckland, you'll probably want to head out of town and see the wondrous surrounding landscape. Just a short ferry ride is Waiheke Island where an adventurous zip-line thrill ride awaits you. Or if something more relaxing is your agenda, head out for a tour of the local wineries as Waiheke Island is one of four wine regions in the Auckland area. Maybe even take a tour of the one of 48 volcanic cones in the Auckland area. Don't want to walk? Take a Segway! Decide what you want to do and have Reward Flying get you there. Bangkok, Thailand: The capital of Thailand has been voted the #1 travel destination in the world as it hosts more visitors than any other city in the world. 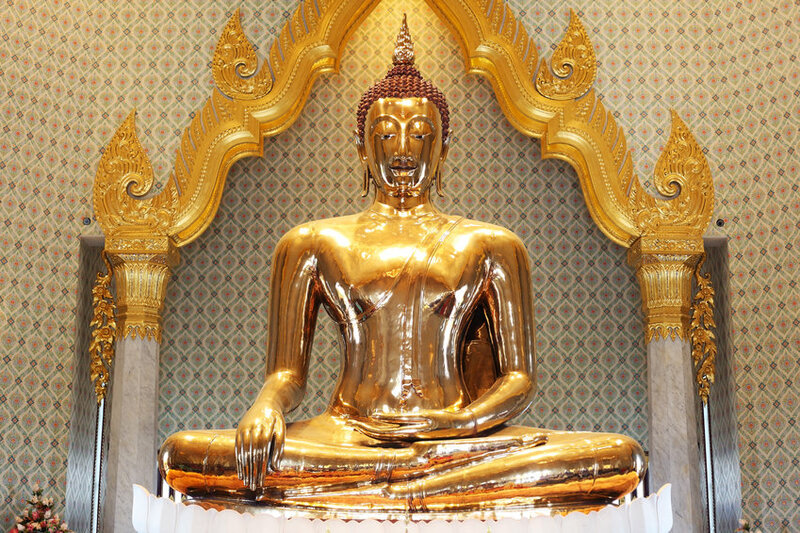 Full of temples, such as Wat Traimit, the Temple of the Golden Buddha and home of the floating markets. Hop on a longtail boat and your guide will take you down the river among merchants selling freshly prepared local cuisine, tropical fruits and vegetables, flowers, refreshments or anything you might find at a market. There are a number of floating markets in Bangkok with the largest being Damnoen Saduak. Kuala Lumpur, Malaysia: Famous for the Petronas Towers (remember the movie Entrapment? 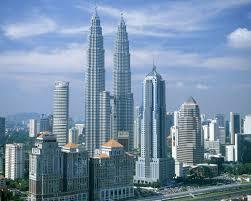 ), the capital of Malaysia is another modern South-East Asia city and one of the fastest growing in the region. Mosques, temples, shopping malls, street markets and thousands of restaurants await you. Food is a huge attraction so be sure to feast on Kuala Lumpur 's famous slew long bao or steamed pork dumpling. Ho Chi Min City, Vietnam: Saigon as it is commonly known, of course played a pivotal role in the Vietnam war. Much has changed, yet the War Remnants Museum is a popular place to view the war through the perspective of the Vietnamese. The Ben Thanh Market should be on your list of places to visit. Have some pho (Vietnamese noodle soup) along with a ‘ca phe sua da’ (iced coffee). Then maybe take a day to experience the rice paddies and houseboats by taking a tour of the Mekong Delta. There are many Mekong Delta tour operators, here is a Google search list. Denpasar, Bali: While you will find plenty to do in Bali, we will point out three reasons to Reward Fly to Bali; water, sand and sun! Going West offers dozens of cities that can be a destination or many that can be used as an arrival hub. Adopting this strategy allows you great flexibility. Your benefit is not the limit of a single destination like Seoul. You can fly into one of the Seoul airports and take a connection to dozens of other cities or if you want just spend your time in Seoul. It's all your choice. Of course airline alliance code sharing makes this possible. While all alliances fly to regions of the world like Asia, some alliances are stronger in presence than others. We’ve done the research to see who gives the best reward availability along with connection options and structured the strategies accordingly. If your travel objective includes seeing a few cities as opposed to a round trip from point A to B, when booking travel for any strategy we can help you accomplish this goal. Most reward programs offer layovers where a connection can be within 24 hours allowing you a glimpse of the city, while some offer stopovers which are longer connection times. An example; jet off to Hawaii for a couple days then on to Asia with a direct return. Or maybe head down to Auckland, take a LAN 787 to Sydney, and return to the US. Be creative and dream up the trip of a lifetime! On a nice day from the domestic terminal over to international is a 15 minute walk. Today a crowded shuttle would take me there for an anticipated first time on the world renowned airline Emirates. Before the Emirates flight I took an EK codeshare on Jetstar to Auckland. It was interested to see the differences between the two carriers that fly between Auckland and Wellington.